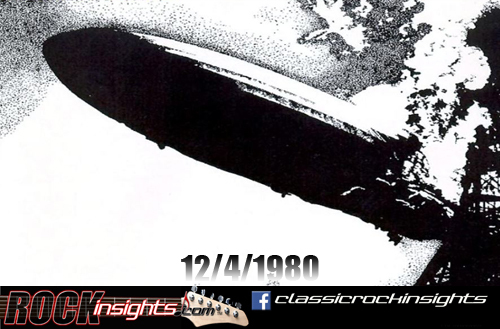 Today in 1980 marked the official end of Led Zeppelin. The announcement came a couple of months after John Bonham's death. Chris Hillman of The Byrds and Beach Boy Dennis Wilson were both born on December 4th, 1944, as was Lynyrd Skynyrd mainstay Gary Rossington in 1952. The doors opened on the Beatles Abbey Road Boutique on this date in 1967. Guitarist Tommy Bolin, who had stints in the band Zephyr, the James Gang and Deep Purple, OD'ed on this day in 1976 and Bob Marley suffered a gunshot wound during a robbery of his Jamaica home on the same day. 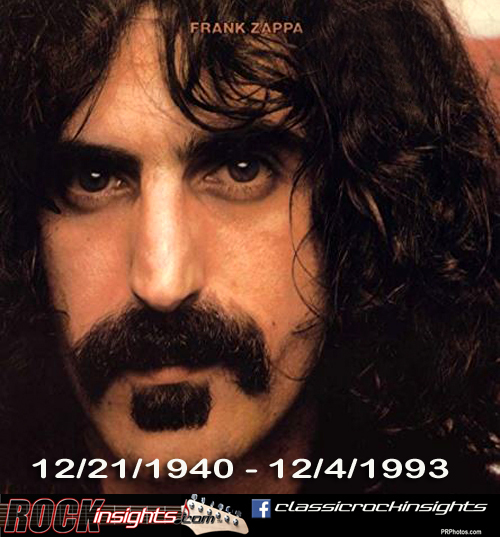 And we lost Frank Zappa to pancreatic cancer 12/4/1993.